As a child I was always in the kitchen with my mom while she was cooking or baking, trying to learn how to make her recipes so I could one day replicate them myself. I started to keep a recipe file and this very salsa recipe happens to be the first one I put into my card index at the age of 15. Growing up we would take a yearly summer trip up to Wisconsin to visit with our family friends (shout out to the Lucas family!!!). I would usually hang around the kitchen there as well because 1) I was a hungry swimmer and 2) I was interested in seeing how Kim and my mom would pull together the snacks and dinners for everyone. One summer we visited and I tried this homemade salsa that Kim had made. It was so good and I couldn’t believe how quickly it came together. Kim gave me this recipe card and so began my collection. Morgan challenged me to a salsa Face Off this week and I immediately knew what I was going to make. This tried and true recipe has been with me for over 15 years now (!!!) and is always a Todd and a crowd pleaser. Drain and rinse corn and peas. In a large bowl combine corn, peas, onion, tomatoes and cilantro, stir to combine. 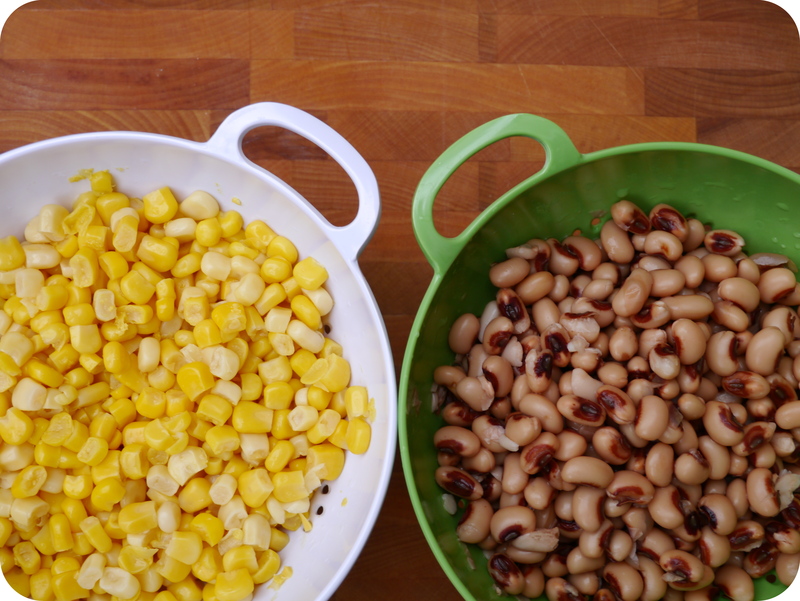 Add all dressing ingredients directly to the corn and pea combination. 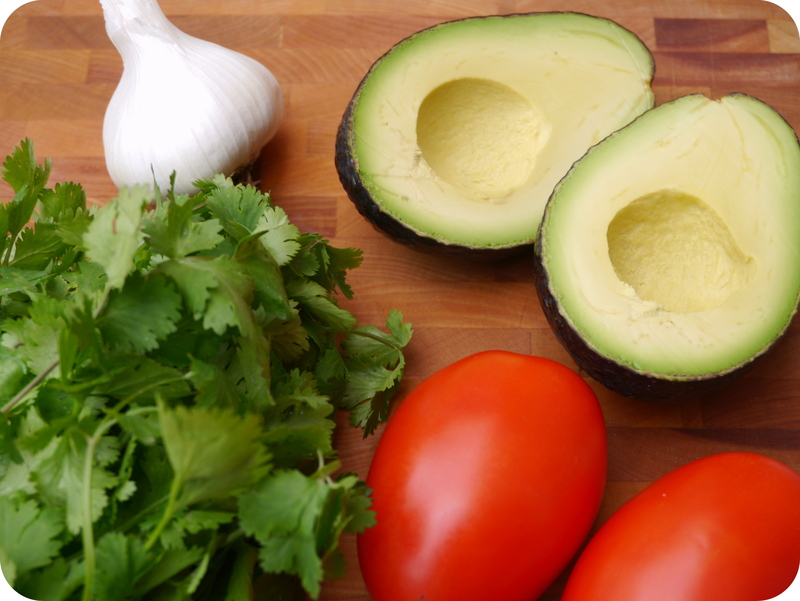 Add avocado last and fold in gently. 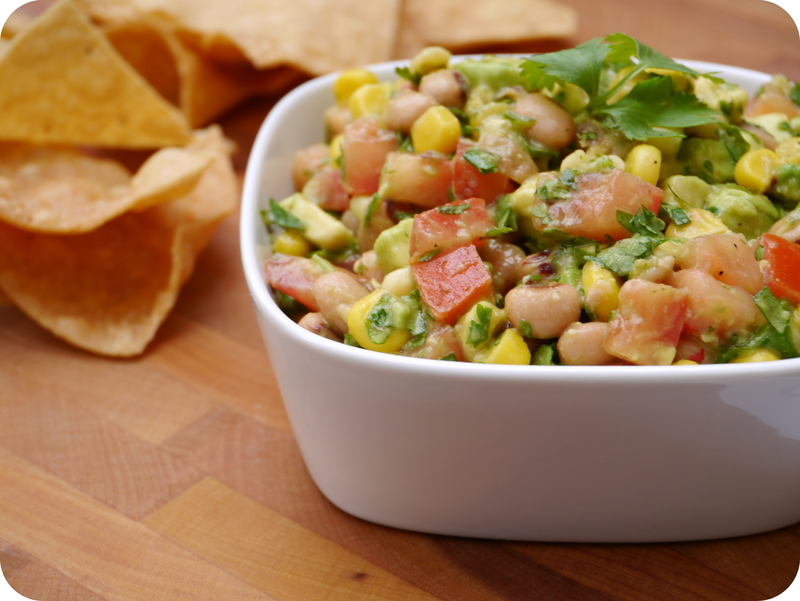 Serve with crispy tortilla chips. Kim recommends the “scoop” style which makes keeping the beans on your chip easier.